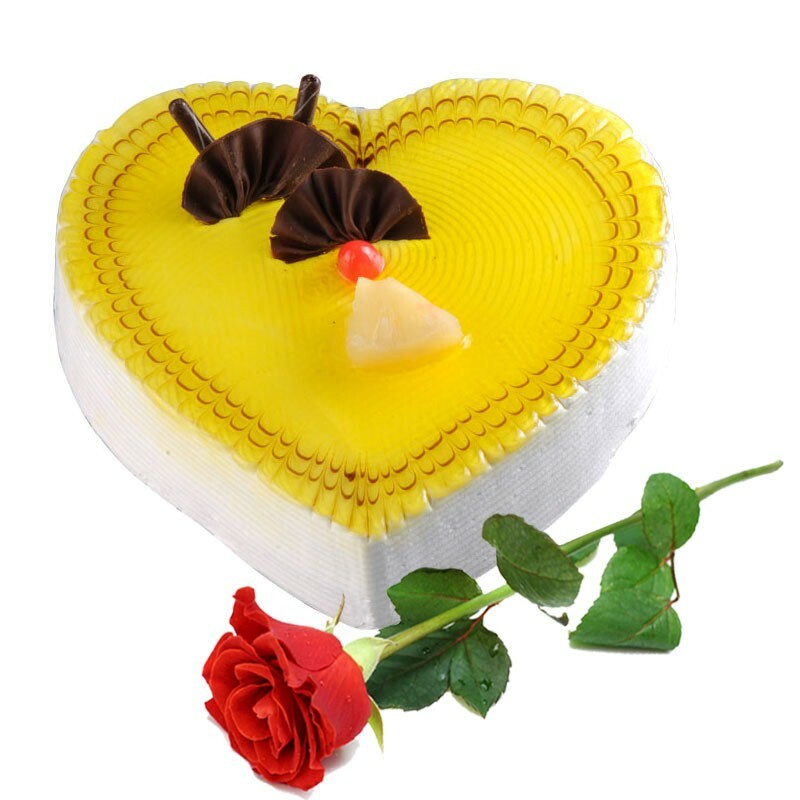 Product Consists : 1.5 Kg Special Heart Shape Pineapple Cake along with One Red Rose. 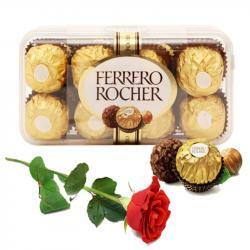 Fabulous gift for your dear ones on their special day and win their heart. Delight your love one in India by sending him/her. Cakes are an integral part of any celebration. This is a luscious Pineapple flavored cake in heart shape that no one will be able to resist. This amazing cake weighs 1.5 Kg and is decorated with yummy chocolate and pineapple slices. 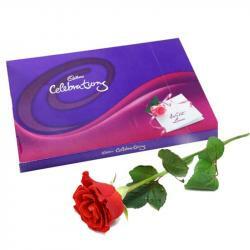 Single Red Rose is a symbol to propose to your special one in life. 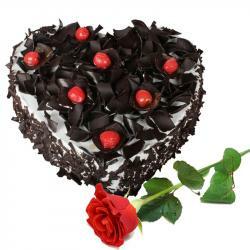 This Cake of 1.5 Kg Heart Shape Pineapple with One Red Rose will be a perfect gift on this Valentine's Day. 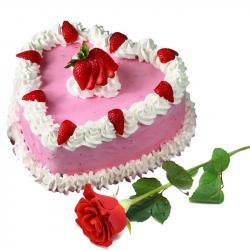 Product Includes : 1.5 Kg Special Heart Shape Pineapple Cake along with One Red Rose.